Where your website is hosted can be as important as the design and content on your site. 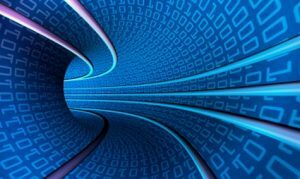 Bandwidth – If you think of a highway full of cars, you can understand that the more lanes available for use, the more cars can be funneled through from point A to point B. The same holds true for computer information traveling on the information highway—the more lanes available, the more “throughput” (or bandwidth) there is for the information to get from point A – the server, to point B – the computer connected to the internet that you use to view your website. The more bandwidth connecting the server hosting your website to the internet, the faster it will be when multiple people are accessing it. The addition of videos on the website, for instance, creates more need for a hosting service that provides extra bandwidth and web space (a parking lot to hold all those videos and photos). Avrom Hosting enables you to have complete control over your web hosting site. This is important whether you want to add, forward or delete email addresses, utilize web email if you or an employee needs email access when out of the office, determine who has access to update your website, enable your web designer to add or change SQL databases, or even add an FTP user when needing to transfer large files to a vendor for publication, or to place a large data file where someone else can access it. Emails can be set up to forward to other addresses (so an employee can still receive email at their GMail address, for instance), and you can change them at any time. 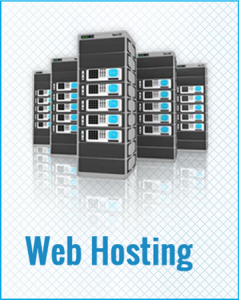 Our web hosting service is affordable and scalable to your business. We can supply SQL Databases, Scripting language support and secure e-commerce solutions including shopping carts. We have bandwidth solutions that can host high-quality audio and video. We can manage your domain name, email addresses, email forwarding and more, although using our cPanel interface, businesses have the ability to manage their own email and other services. Virus and spam protection comes default with all hosting, as does webmail access to user mailboxes. You can be secure knowing that we offer 99% uptime, experienced technical support staff and affordable web hosting solutions.